I am 150% positive that these cookies will never make it past the cookie dough stage in this house. The salted caramel chocolate chunk cookie dough looks way too tempting. But they are worth a shot. 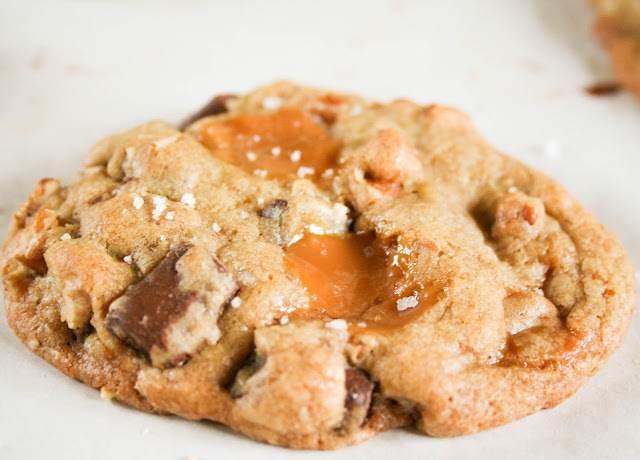 You can get the salted caramel chocolate chunk cookie recipe over at Blooming on Bainbridge. OH' YUM!!!! I want some now. So bummed I never got a picture with you at SNAP. HOW LAME. NEXT TIME.